Wes Craven‘s Scream (1996) struck a nerve with teenagers during the 90’s and a new horror franchise and a villain was born. Scream is about a teenager who gets targeted by a serial killer a year after the murder of her mother. Now her friends and are dying all around her. 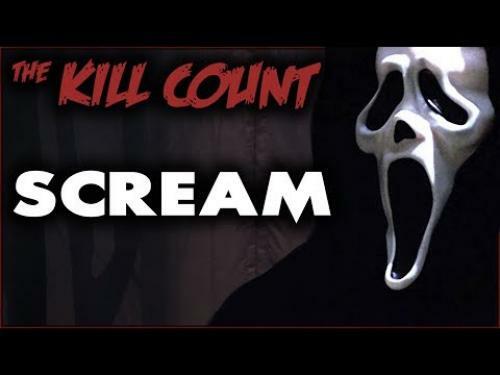 Dead Meat posted this video totaling the kill count and showing us the death scenes. Official Synopsis: A year after her mother's death, Sydney Prescott (Neve Campbell), and her friends started experiencing some strange phone calls. They later learned the calls were coming from a crazed serial killer, in a white faced mask and a large black robe, looking for revenge. His phone calls usually consist of many questions, the main one being: Whats your favorite scary movie? Along with many scary movie trivia, ending with bloody pieces of innocent lives scattered around the small town of Woodsboro.